I recently purchased a Mystery Ranch holster, and I thought I'd share some observations on it. To be clear, while I'm going to be critical, by no means am I trying to bash MR - I'll be sure to highlight both the positives and the negatives of this holster as I see them. I tried to post a review on their site but 1) they have a very limited acceptable word count for reviews, and I think some of the issues require depth and explanation, and 2) it seems they must not have liked my review, because it hasn't showed up on the item description to date. I'll start by sharing a little bit of the process I encountered while doing homework prior to actually receiving the holster. I went to the MR website, and other than finding the physcial outer dimensions of the holster, and the description that said it fits "most semi-auto side arms," I didn't seen much detail about what specific models it might fit or not fit. 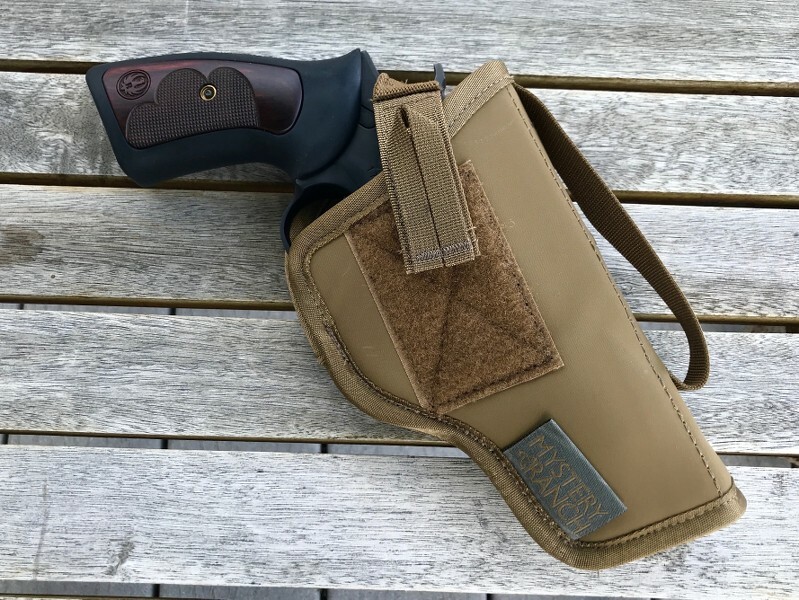 As most of us with experience know, "universal fit" holsters are a unicorn at best, a disappointment or totally useless at worst. Some basic information about what common models a particular holster fits (even a "universal" or "fits most" option) is extremely useful. So, I called MR customer service, explained that I had already been to their website and that I was calling looking for a little more detail on what particular models the holster might fit. The CS rep recited the dimensions from the product description on the website. I told her that, yes, I had seen those dimensions, and that's whay I was calling - to hopefully get a little more detail. She couldn't tell me anything about what particular firearms might fit the holster, even when I asked about some of the most common options that someone would likely carry in a holster intended for this use. She then told me I should take my gun to the local MR dealer and try it out. This was impractical for several reasons, to say the least. So, despite this less than impressive customer service, I was optimistic about the product, given MR's reputation. I figured I'd give it a try and be sure to order it from a store that had free returns if it didn't work out. When I first inserted the P229, it was extremely tight, and took a fair bit of force to get it to seat properly in the holster. A tight fit is generally a good thing in a new holster, and I assume this would loosen up some over time. At the very least, it seems like mounting this strap externally, rather than internal to the holster, would be a no-brainer. Unfortunately, the inboard part of the retention strap is riveted to the holster and not removable, or I would just ditch it entirely. 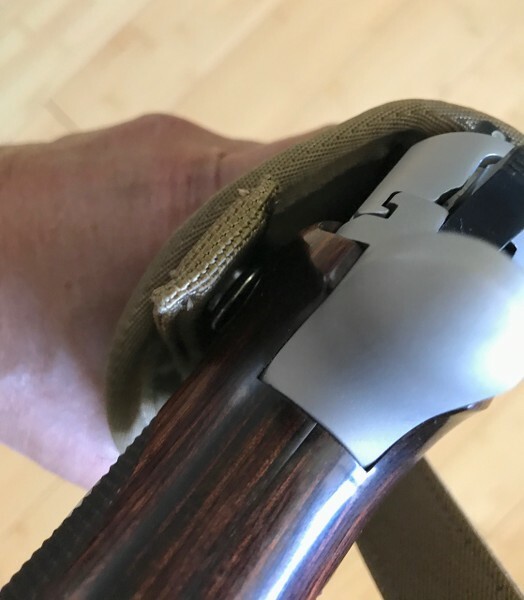 Also, when I would try to draw, the rear sight would get caught on the overlapping fabric seam on the inside of the holster lip, if I pushed the gun fully into the holster. For these reasons, and the fact that they happened consistently, I pretty quickly determined that I would not carry my P229 in this holster. I then tried a M&P 4.25" and given the lack of external controls, particularly on the left side of the gun, it drew much more smoothly. I'm not sure how well this holster would work with other popular DA/SA options like Beretta, CZ, etc. or with a 1911, but my initial impression is that this holster was designed with streamlined, striker-fired pistols in mind. The other issue I found was with the outboard half of the retention strap, which is elastic. I don't understand the need for elastic here, since the strap is already adjustable in terms of length, and it's not like it needs to fit super tight - it just needs to prevent the gun from accidentally dropping out of the holster. Unfortunately, with this elastic retention strap engaged, there is a fair bit of "give" that happens before the snap opens, which makes rapid deployment of the gun feel unacceptably sloppy, especially when seconds might count. Thankfully, the elastic part of the retention strap is entirely removable. My suggestion here would be to ditch the elastic and just use an adjustable piece of non-stretch webbing. I would also suggest that the inboard part of the strap be entirely removable as well. It's clearly very well made and looks like it would last a long time. The PALS mounting option is great, and with a little fiddling, I was able to get it to mount quite securely on my Recon Belt. As mentioned above, if you are running a semi that is largely devoid of external controls that might get hung up, this could be a great option for you. 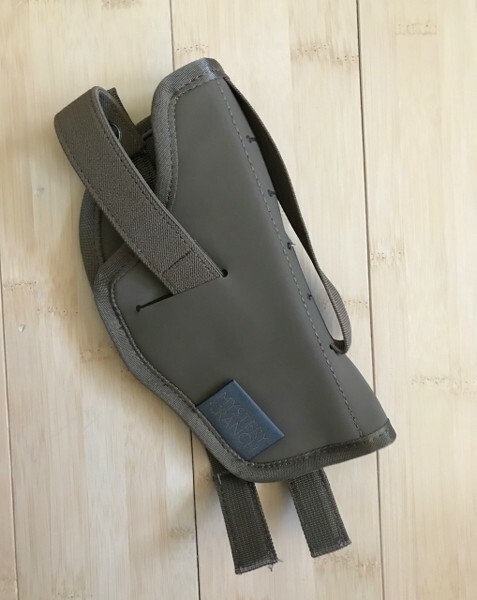 Hope this is helpful for anyone considering this holster, since there doesn't seem to be much in the way of reviews out there, nor is the information provided by the manufacturer particularly helpful. I really think this holster has promise, and could be a great option, but there are some design shortcomings that could be easily overcome. Hopefully we'll see these addressed at some point in a more refined, 2.0 version. Thanks man - was looking at this holster for my 1911 and CZ 75B. Appreciate you saving me some time and money. Looks like it has potential, I thought the PALS set-up would be perfect, but seems like the holster isn't ideal for what I would use it for. Will keep my eyes open for v2 as you say, and in the meantime working on a DIY PALS holster solution. You can set up pretty much any kydex holster to be pals compatible by screwing malice clips to it. Yup, and that's generally the route I've taken. 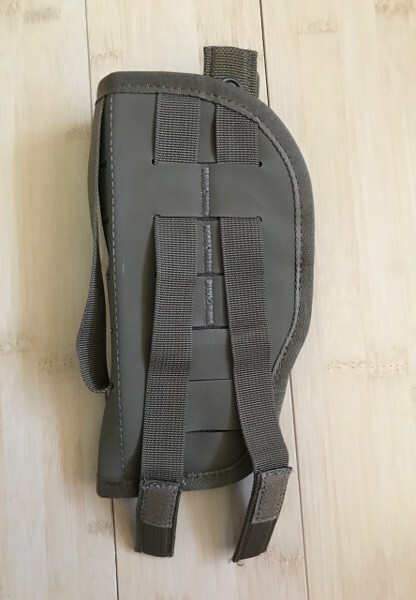 However, for multi-day backcountry trips, I like the idea of a holster that is quickly and easily removable from the pack belt (or wherever else I may have it mounted) to be able to bring it in the tent with me at night without dragging my whole pack inside. Fiddling with the malice clip releases on a daily basis is do-able, but more of a pain than other mounting options. For the most part, I've just gone back to carrying in my Kit Bag for those trips. I just tranfer from my holster to kit bag in those cases. I have also carried something like a zach or vanguard with a clip to use also. After writing the review above a while back, I decided to take a chance on MR's revolver holster instead. And in spite of my experience above and in fairness to MR, I think the revolver holster is a darn good option, especially for a "universal fit" holster. It fits my GP100 3" very nicely, and the draw is clean and smooth with no hangups. Thankfully, they decided to just go with a velcro hammer strap with a quick-grab loop on it rather than a metal snap. 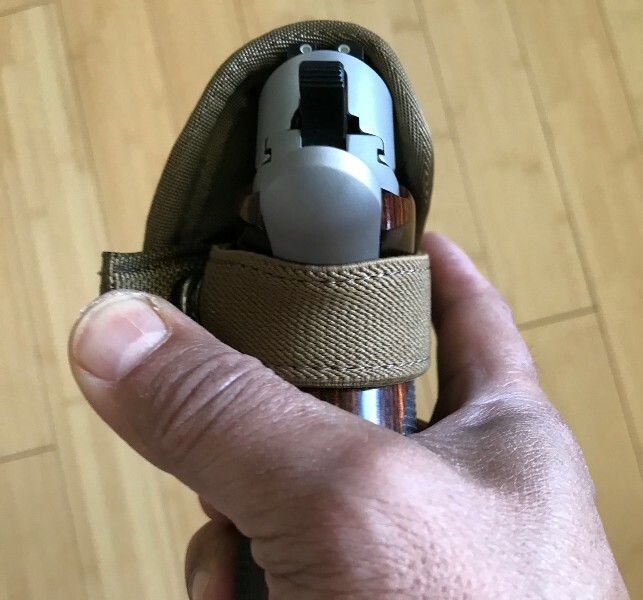 An additional nice thing about this strap setup is that if you choose not to use the strap, you can simply fold it over the back (inboard) side of the holster and tuck it into the Pals slots to keep it out of the way. Just like the Pistol holster above, it has two rows of PALS ladder on the back and fits great on the Prairie or Recon belts.